History: 50 year old male with right upper quadrant pain. 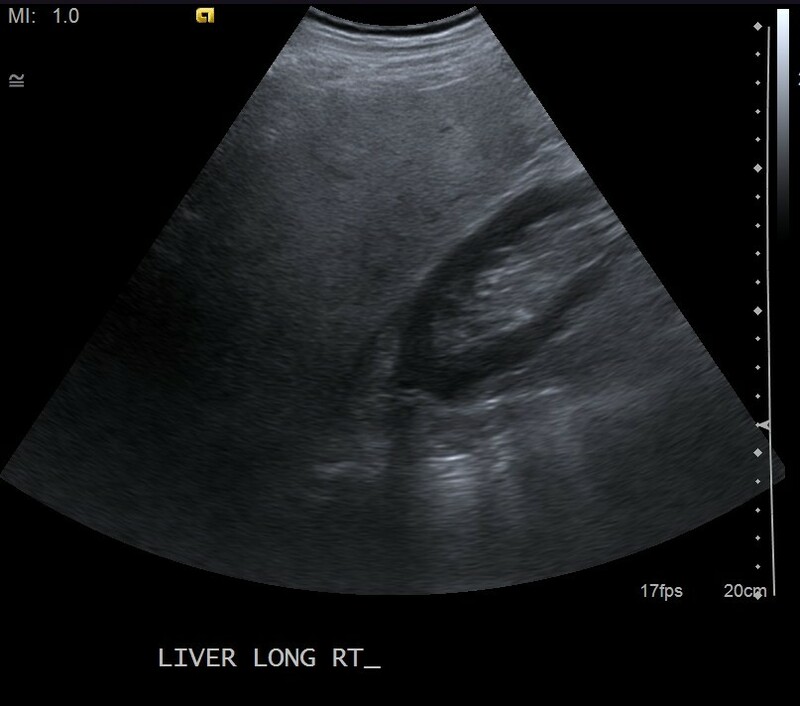 Fatty liver: Ultrasound of the right upper quadrant of the abdomen shows are markedly echogenic liver compared to the adjacent cortex of the kidney. Additionally, there is decreased conspicuity of the hepatic veins and decreased through transmission, compatible with fatty liver disease. This is the typical appearance of fatty liver disease, also called hepatic steatosis, on ultrasound. The three main findings of fatty liver disease on ultrasound are 1) increased echogenicity as compared to the adjacent kidney (which must be measured at the same depth), 2) decreased acoustic penetration, and 3) decreased conspicuity of the hepatic veins. The liver can also be increased in size with fatty liver disease, and certain areas of focal fatty sparing can be noticed, particularly around the gallbladder fossa.